It’s a cold and grey Saturday morning and there's an icy gale blowing down London's famous Brick Lane. DJ Mag is making our way to Second Home, the creative hub for entrepreneurs of the East End, situated behind Brick Lane's vintage shops and brightly-coloured curry houses. 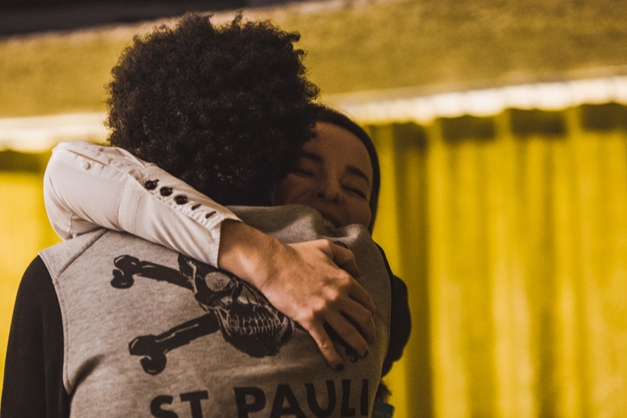 The reason for this rather frosty awakening is brand new music conference, Take Note — an intimate event aimed exclusively at young music entrepreneurs and industry hopefuls. 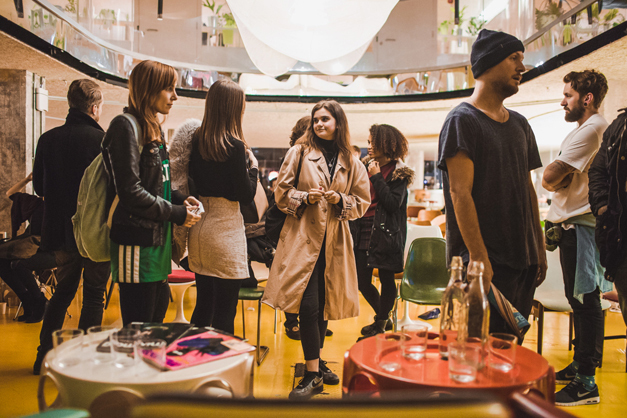 As we burst through Second Home's orange and red perspex doors, the venue is already buzzing with young people eagerly awaiting talks from some of the most influential people in the music industry. 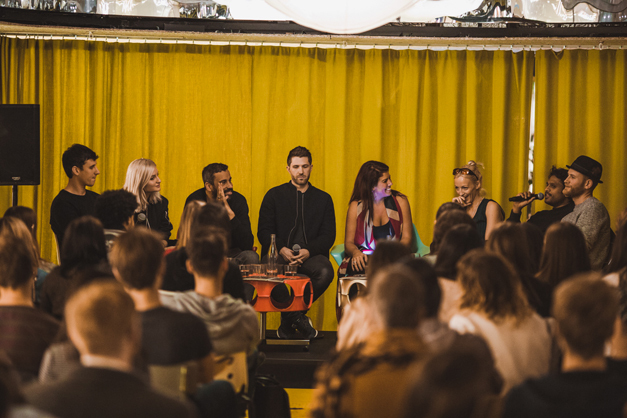 A quick check of our event schedule tells us that there’ll be no less than six panel discussions on how to break into dance music's seemingly illusive fold, as well as a talk on the future of London's nightlife, plus a production lab hosted by Point Blank Music School. There’s a whole host of respected industry bods here from all corners of the music world. On the line-up we spot legendary DJ and producer Clive Henry, Resident Advisor founder Nick Sabine, techno connoisseur and Leftroom label owner Matt Tolfrey, Capital Xtra DJ and presenter Coco Cole as well as our very own digital editor, Charlotte Lucy Cijffers. The conference is the first of its kind here in London, as it’s targeted at the next generation of musical minds. Take Note's founder, Bianca Mayhew, has been in the industry for around seven years now. She tells us that the idea for the conference came after she’d been working for various music brands and saw a gap in the market. “I just decided that London needed…. an entry level music conference for [young] people [who] don’t necessarily know everything already and want to work out where they sit in the industry…. 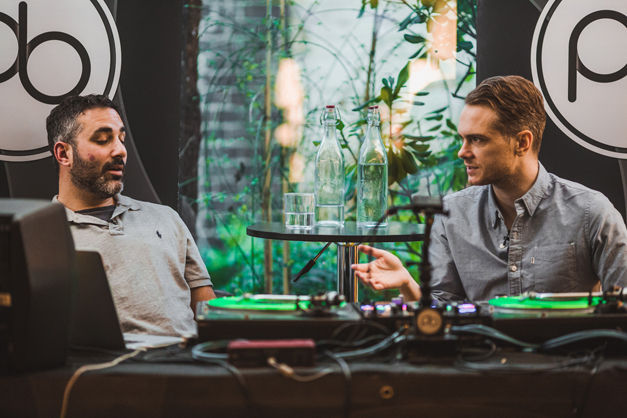 and what job roles they should follow,” Mayhew tells DJ Mag in between Take Note talks. What’s clear is that this conference is unlike any other we’ve been to. The size of the space allows young attendees to approach the speakers throughout the day, many of whom they look up to and admire. Visitors are able to have one-on-one chats with music insiders, gain valuable advice, and even exchange details. During the break, we chat with a few of the attendees. Magnus Bohlin a 29-year-old DJ and producer from Stockholm tells us that today is really important. “When you hear about the music industry it’s kind of like [there’s] this big cloud [around it and] you have no idea about it,” he tells DJ Mag. “Like, where do you start? When you come to something like this you realise how easy it can be to get in." Another speaker at the event, BBC broadcaster and tastemaker Huw Owen, adds: "[Take Note is] great because the focus [is] on education. [It’s not] just the music industry talking to itself, it’s the industry passing on its experience”. In the second half the event, there’s a panel on lifestyle balance in the music industry, that includes talks with DJs Clive Henry and Laura Jones. Jones discusses how the power of meditation helps her to stay grounded, before moderator Carly Wilford leads a short meditation that leaves us feeling energised. After the talk, we manage to grab panelist Clive Henry for a chat. He tells us about how he knew he had a problem with balance when an ex-girlfriend pointed out that he was more interested in partying than personal relationships. “I was more interested in being out with my mates partying and going to the after party, and then going to another after party, it's not cool…it’s going to affect everyone in your life,” Henry tells us, solemnly. As the panel discussions draw to a close, we spill out of the conference room and into the lobby. Everyone’s still buzzing as they mingle out in the Jago bar, excitedly swapping numbers and information that they have gleaned. Looking around, it’s clear that the first Take Note is a triumph. But, for now, it’s back out into the cold and onto the after party at Night Tales. We'll be home before 7am, we promise! Head to the Take Note website for more info.